Promoted from UK and Ireland managing counsel to the new role of general counsel (GC) and company secretary at Roche Products in December 2015, Funke Abimbola is widely recognised as a leading GC in the healthcare and life sciences sector, after only making the leap to in-house from private practice in 2012. Abimbola is commended for her outstanding work on a number of fronts. 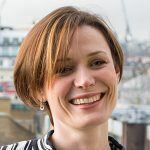 In particular she has deepened her commitment to fostering closer relations between lawyers and research and clinical teams, helping both sides to understand the technical issues involved from a new perspective. Handling all aspects of law, including competition, regulatory, commercial, intellectual property, data protection and employment law, her team have been actively involved in protecting a diverse portfolio of products. Recent highlights include ensuring successful integration of four UK-registered InterMune companies into the UK and Ireland business following the acquisition of InterMune Group by Roche in 2014. Members of the legal team have also been involved in successful business partnering with other groups within Roche, an initiative that has improved the team’s ability to provide strategic advice more closely aligned with business plans and business reviews, as well as gaining more product-specific knowledge. Promoting gender and race diversity has also been a big focus of Abimbola’s achievements inside and outside Roche. She has recently become a Project Champion for the First 100 Years project, a digital film archive of female legal pioneers to mark 100 years since women in the UK were permitted to enter the legal profession. She has also recently been appointed to the Diversity Recruitment Institute for Value and Excellence, a House of Lords committee on gender diversity chaired by Baroness Royall, which seeks to encourage an extra 10,000 diverse hires a year. The healthcare market generally is going through a turbulent period. With a public sector hit by scandals and funding squeezes, there are a number of people looking to make a dent in the pockets of larger private providers. Toner says he looked at Spire’s clinical governance systems and processes some years ago and realised they needed to be more robust. It was a move that proved to be prescient: scandals at the Mid Staffordshire NHS Foundation Trust and Winterbourne View have brought reputational risk to the top of the healthcare GC’s agenda. Combined with an intense regulatory regime, this has created a market where providers are having to tread carefully. Despite a decade working in the sector, Toner does not think of himself as a healthcare lawyer. In 2004, after nearly ten years in private practice as a corporate lawyer with a few in-house secondments along the way, Toner joined the commercial directorate of the Department of Health, a scheme set up to increase private capacity in UK healthcare. Toner made the move to Bupa Hospitals in 2006, though shortly after joining a bid from private equity firm Cinven that turned Bupa Hospitals into Spire saw him return almost immediately to corporate affairs. Pharmaceutical distribution in the UK changed significantly in 2007 with Pfizer’s introduction of the direct-to-pharmacy (DTP) model, an agreement between the manufacturer and Alliance Healthcare that has since been replicated throughout the industry, reducing wholesalers to providers of logistics rather than buyers and re-sellers of pharmaceutical manufacturers’ products. Eddie Lawson was sitting at the negotiating table for Alliance during the first DTP deal and saw how quickly the industry can change. The pharmaceutical sector is now facing even more significant changes, with blockbuster drugs coming off patent just as the pipeline of new products is drying up, while an ageing population and cuts to healthcare spending by European governments squeeze margins. For Alliance, another big change came in 2014 when the Walgreens Boots Alliance strategic partnership, one of the largest retail pharmaceuticals mergers ever, closed. As a distributor whose retail operations lie in markets not covered by Walgreens, Alliance was largely unaffected by business integration following the merger, but Lawson and his team have been drawn into difficult data privacy and compliance issues related to operating on a single system. Alliance places its lawyers where the business is and avoids a large central team, meaning Lawson operates with a core team of just five in the UK. In addition to providing support to central business functions, Lawson’s role is largely one of surveying the company’s operations in various markets and conveying strategic risks across the business. Following Flemming Ornskov’s appointment as chief executive in 2013, UK-listed global speciality biopharmaceutical company Shire has acquired around $50bn worth of assets, transforming it into one of the world’s leading drug makers. Executive vice president, general counsel (GC) and company secretary Bill Mordan joined the company in October 2015 when it was midway through this run of acquisitions and played a major role in its largest purchase to date, the $32bn acquisition of rare disease drug maker Baxalta (due to close in the second quarter of 2016). One Magic Circle firm partner, who worked with Mordan on the deal, describes him as a ‘first-class lawyer and one of the smartest guys I’ve ever worked with’. As a UK-originated, Irish-headquartered entity with operational headquarters in the US, primary listing on the London Stock Exchange and a secondary listing on Nasdaq, Shire’s legal team needs a high level of cross-border expertise. Mordan, who is based at Shire’s US operational headquarters, adds experience of working for a UK-listed company from his previous role at RB where he served as group GC. During his 13-year tenure at the consumer goods giant, Mordan gained first-hand experience of pharmaceuticals M&A work, orchestrating a demerger of the company’s pharmaceutical arm, for which he then created a new in-house team to allow it to float on the London Stock Exchange as a rebranded independent entity, Indivior. Mordan joined RB in 2003 following a number of positions working in the US and Latin America for Procter & Gamble. He reports directly to Shire’s chief executive and is a member of the executive committee. As group general counsel (GC) of the largest healthcare company in the world by market cap, Felix Ehrat has to keep on top of the legal and commercial risks in over 180 markets. Ehrat has led Basel-based Novartis through some of its most transformative deals. Last year he helped it complete the final stage of its asset-swap deal with GlaxoSmithKline (GSK), with the Swiss company acquiring GSK’s cancer and multiple sclerosis drug business in exchange for its own assets. The deal was part of a hugely complicated three-stage process involving £11bn of assets that saw the two companies combine their consumer healthcare businesses while swapping non-core lines. Overseeing mergers and acquisitions and advising on strategy is just one aspect of Ehrat’s contribution to Novartis’ future. In an industry where research and development cycles can be measured in decades and involve costly trials with no guarantee of success, spotting risks that could have an impact in a number of years’ time is essential. With healthcare spending in Europe slowing, the risks Novartis will face in trying to grow its business in emerging markets have become more important than ever. The introduction of nanotechnology to the drug market will also change how pharmaceutical companies interact with customers and evaluate risks. For Ehrat, understanding how emerging trends in healthcare will affect Novartis’ strategy and how the legal team will need to evolve is the foundation of his role as GC. He has been in his post since October 2011 and is a member of the executive committee of Novartis. He was previously managing partner of Zürich-based law firm Bär & Karrer, where he worked for 25 years as a corporate and M&A lawyer. Former global markets director of legal and corporate affairs Penelope Dudley replaced Paul Newton as chief legal officer at Bupa on 1 April 2016. 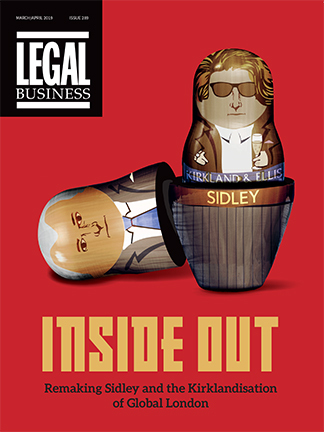 Ascending to the top legal position in a competitive, highly-regulated and complex sector is a challenge for any in-house lawyer, particularly if the position in question is replacing a figure as well known within the industry as Newton, who sat on Bupa’s global executive board and played a key role in shaping the organisation as a whole. Healthcare is also a highly politicised sector that faces varying reputational risks from country to country. Instilling a culture of leadership across the legal team is especially important at an organisation which generates 80% of its revenue outside the UK and has a customer base in 190 countries worldwide. Dudley will take charge of a global team of 85 lawyers and an annual legal spend of over £11m as she oversees both the day-to-day legal problems facing the company and reports on the operational risks it faces in its various markets. Dudley has been a member of Bupa’s legal team since 2010 and has handled the legal team of Bupa Global Market Unit since 2013. Jeff Pott leads a multidisciplinary and multinational team of lawyers at Anglo-Swedish multinational pharmaceuticals giant AstraZeneca. He was appointed as general counsel in January 2009 and has overall responsibility for all legal matters, including competition and intellectual property. With a market capitalisation of over £50bn, AstraZeneca is one of the largest companies in one of the most heavily regulated sectors in the world, with everything from manufacturing to marketing and clinical trials subject to rigorous controls. Dealing with this level of regulation while retaining a focus on wider strategic issues is a delicate balance. According to Freshfields Bruckhaus Deringer corporate partner Julian Long, who has worked closely with Pott on many occasions, it is a balance that the AstraZeneca GC has used to his advantage. Among the issues Pott has focused on recently have been AstraZeneca’s busy M&A workload. Over the last two years the team has not only been engaged with Pfizer’s £70bn hostile bid for AstraZeneca – an ultimately abandoned deal that would have created the world’s largest pharmaceuticals business – but its own acquisition of Dutch biopharmaceuticals company Acerta. Pott joined AstraZeneca in 1995 and has worked in a number of roles within its legal team. Before joining the company he spent five years at US law firm Drinker Biddle & Reath as a pharmaceutical product liability litigation and antitrust lawyer. For smaller listed UK biotech and pharmaceuticals companies, the market has been something of a train wreck in recent years, notable more for its failures than its successes. But FTSE 250-listed specialist healthcare company BTG has been a notable outlier. General counsel (GC) and head of strategic affairs Paul Mussenden is recognised for having played a substantial part in the company’s success and is cited as one of the leading legal figures in the sector. One of the most surprising things about BTG is how lean the legal team is for a company of its market cap, with seven lawyers and two paralegals split between London and Philadelphia overseeing all internal matters, which stems from Mussenden’s preference to ‘deepen expertise rather than grow the legal team’. Each lawyer in the team is expected to act as a ‘mini GC’, capable of advising on business issues and offering guidance as well as legal advice. Mussenden’s role has evolved recently to encompass membership of the executive team and accountability for intellectual property, compliance, regulation and ownership of risk, and he has also led on several significant M&A transactions. Andrew Edge, head of corporate at Stephenson Harwood, has advised BTG for many years, including on the acquisition of interventional pulmonology company PneumRx in 2014 and the acquisition of EKOS Corporation in 2013. He describes Mussenden as being ‘very highly regarded both within and outside BTG’ and praises his ‘superlative judgement, deep knowledge of the sector and ability to apply just the right degree of pressure to the tiller with both internal and external legal teams’. With an endowment of around £18bn, the Wellcome Trust is the largest non-governmental source of scientific funding in the UK and one of the largest life sciences and health funding providers in the world. Susan Wallcraft has been general counsel (GC) and company secretary at the UK-based charitable foundation since 2012. Wallcraft joined Wellcome after eight years at Pfizer, where she served as assistant GC. Although many of the issues facing a listed corporate – competitors, shareholders, antitrust – are no longer on Wallcraft’s agenda, she finds the same basic questions of risk and reputation are very much a part of her role at Wellcome. Among the biggest challenges Wallcraft and her team face is managing Wellcome’s reputational risk. The trust suffered damage following The Guardian’s ‘Keep it in the ground’ fossil fuel divestment campaign, just as falling oil prices wiped nearly £200m off its investments. 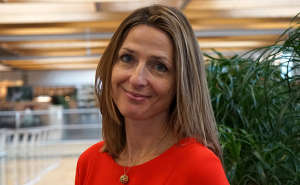 Although Wellcome does not engage in fundraising activities, it has been tangentially impacted by negative publicity surrounding the activities of a number of charities in the UK and Wallcraft has had to help manage its public relations strategy in the face of changing public attitudes to the sector.